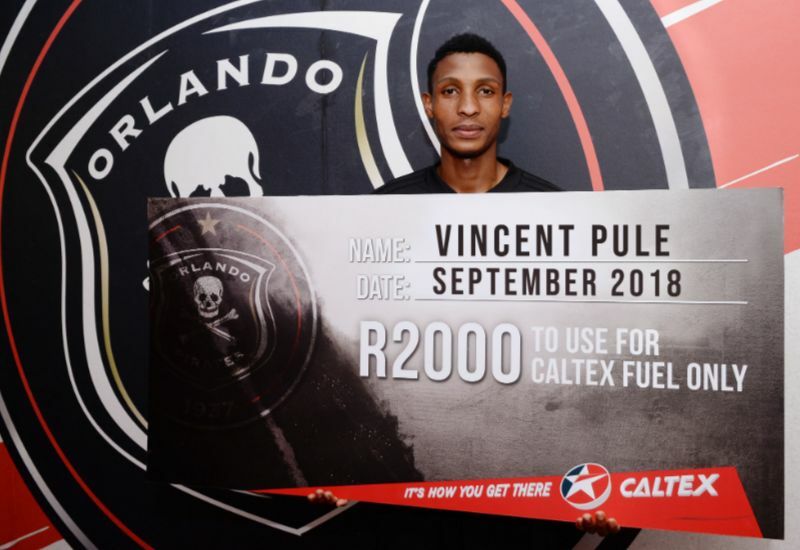 Orlando Pirates midfielder Vincent Pule has claimed the Buccaneers’ Player and Goal of the Month awards for September. The 26-year-old dominated the month, in which he scored two goals and claimed two assists. Pule’s form helped the Sea Robbers move up to second place in the Absa Premiership standings while also featuring for Bafana Bafana in their African Cup of Nations qualifier against Libya. The South Africa international feels honoured to have won the two awards after joining the club from Bidvest Wits just four months ago. ‘It’s a good feeling when you are playing well and scoring goals, especially when that helps the team to do well. To be recognised by the fans for that contribution makes me very proud because as players, we do it for them. We want to make the fans happy,’ Pule told his club’s official website. Orlando Pirates will now welcome Chippa United to the Orlando Stadium when the two sides meet in the Telkom Knockout Cup on Saturday.